Deckard’s Dream is a 70s-80s inspired synth. 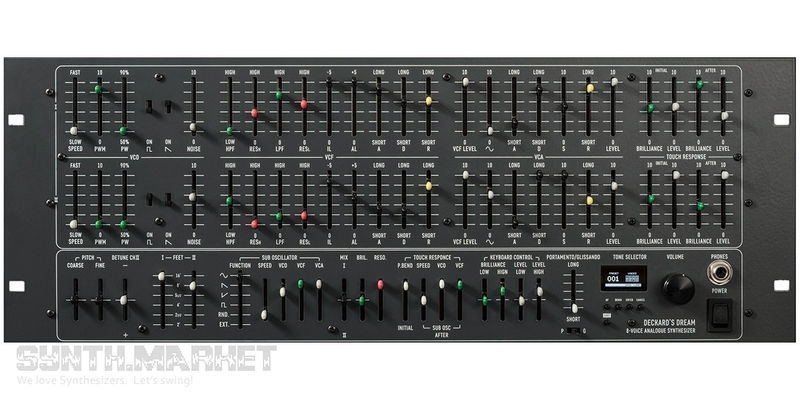 It has an 8-voice polyphony with two synthesis layers available per voice, and analog core (fully analog signal path). There are 256 presets integrated (128 factory and 128 user ones). The OLED display is built in on the front panel. The 16 VCOs give discrete square, saw and sine waveforms. The autotune functions accurately and there’s a detune feature provided for achieving some retro nuances. There’s MIDI polyphonic aftertouch supported and MPE technology integrated. LFO features a sine waveform with PWM. The filter section is represented with a 2-pole low pass and high pass discrete filters offering individual resonance control. There are two assigned ADSR envelopes for filter and amp. Filter brilliance and volume level are regulated with velocity and aftertouch controls. That’s what defines layer architecture. Master controls feature sine, saw, ramp, square and stepped random waveforms for LFO, detune for VCO2, global coarse/fine tune, VCO, VCF and VCA modulation by LFO, crossfade feature between layers, keyboard tracking adjustment. Owing to the MIDI implementation, the number of presets and Spektro Audio soft editor you get a lot of possibilities. The unit is designed and assembled in Japan. 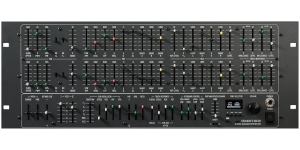 Deckard's Dream is the new 8-voice polyphonic rackmount analog synthesizer the creation of which was inspired by Yamaha CS-80 classic super synth sounds. The unit is now available in two versions – DIY kit and an assembled one, both featuring quite an inhumane price tag limiting the target audience blowing away those who care a bit more about price/quality ratio.